If you’re looking to make some business with people from the area where you live, you should consider optimizing your bookie services site for local searches. 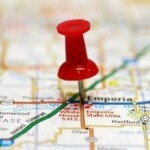 The search engines are quite intuitive and interpret certain searches as local ones. For example, if someone writes “New Jersey pizza express”, the SERPs will contain links for NJ restaurants that offer a pizza express service. Show your address: Because of privacy issues, it is in your best interest if you work using a PO Box. You can use such address to post it online along with your toll free number in order to get prospective clients to contact you after they see one of your locally-optimized pages on the SERPs (search engine results pages). When a person sees an actual address and even a contact number, they are more comfortable about acquiring your bookie solutions because they feel that you work at a more personal level. 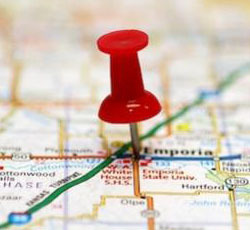 Mention Things Related to the Location: In order to support the theme of the page (s) that you are optimizing to appear on local results for either the place where you live or another region, you can make use of words that refer to local landmarks and locations of interest. Just make sure that the keyword that you are going to use the most is the one referring to the place where you actually want to do business (your top keyword). Also, don’t put that many words referring to neighboring places or other related keywords because you will be diluting the overall theme of your page and your aimed keyword phrase will lose some weight when it comes to its position on the SERPs. The important thing is to work with the right balance of keywords that will allow you to get your desired results when it comes to signing up local clients using your bookie pay per head services site. When a person does a search, the search engine knows where the browser is located thanks to his internet protocol or IP address. Since this is true, when someone from your area does a search for bookie services, if you have optimized your site to appear on local listings, chances are that such people is going to get your site on their search results even when they have not specified their location. You can also opt for optimizing your site to offer your bookie services on other areas different than where you actually live. For this purpose you can also make use of local search optimization, but instead of doing SEO for the area where you reside, you can opt for optimizing your site so it will appear on results for searchers from areas with a heavy concentration of online gamblers. When someone in a given area is looking for local bookie services, then there are good chances that such people is interested in actually signing up and start placing players. This is because optimizing for local search is part of the long-tail SEO (search engine optimization) system, and the traffic that is acquired using this technique is more interested in buying something than in just doing some research. Another great aspect of optimizing for local search is that it will give you the chance to stay closer to the clients that you make using your bookie services site. While having a website is great because it gives you the chance of closing some deals with people from other areas different from the one where you reside, you can only provide person-to-person bookie services to the people that live close to you. Try to be as fair as possible with your local clients and you will see how the word of mouth about your price per head solutions is going to spread easily and will help you to expand your business. This entry was posted in Articles on January 10, 2014 by Mark.